← Mrs. Satterfield has been recognized and honored by our SC Senate! Get 20% off sitewide and also FREE Shipping! Online only and ends tonight @ 11:59 pm. *some exclusions apply. 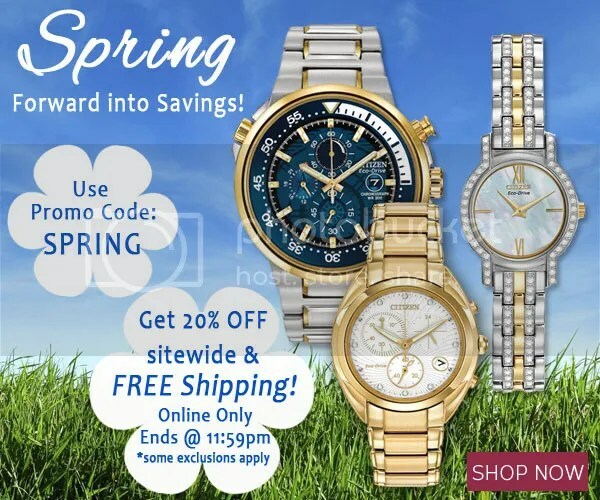 This entry was posted in Jewelry, Watches and tagged citizen, jewelry warehouse, sale, watch, watches. Bookmark the permalink.